Datta HDPE pipes are ideal for overgrown and underground overgrown installations. Available in various sizes and lengths these pipes are made from 100% virgin High Density PolyEthylene Granuals. This pipe is light in weight, durable and highly flexible. The Datta HDPE Pipes have a versatile application. Excellent choice for portable water supply under water piping. 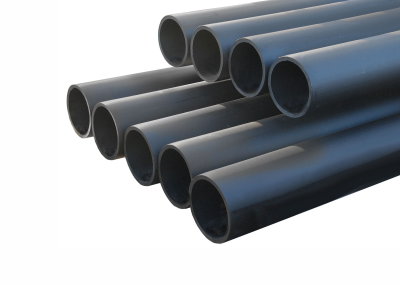 Datta HDPE Pipes are 6 to 8 times lighter than the CI and GI pipes and other competitor products. They are easy to carry enabling reduced transportation and handling costs. They are non-corrosive and durable which aid is superior quality performance and fewer breakdowns. These pipes have a smoothened out inner surface that hinders the growth of micro organisms and bacteria and. This makes certain that the pumping process remains faster and smoother and effortless.